A new study, published in The American Journal of Psychiatry, investigates potential antipsychotic properties of cannabidiol (CBD) in patients with schizophrenia. The results of the randomized, placebo-controlled study indicate CBD may lower positive psychotic symptoms and improve cognitive performance and overall functioning. Patients who received CBD, versus the placebo, were more likely to be rated as improved by their treating clinician. “Although the magnitude of the effect on positive symptoms was modest, it was seen in patients who were already being treated with antipsychotic medication at appropriate dosages; the improvement was thus over and above the effect of antipsychotic treatment,” the researchers, led by Philip McGuire at King’s College London, write. While antipsychotic medication is typically recommended as the first line of treatment for individuals with schizophrenia, the long term effectiveness have been challenged. When an individual is responsive to medication, it is mainly reflected in reduced positive psychotic symptoms (referring to the presence of odd or usual feelings, thoughts, or behaviors). 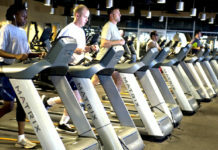 Non-pharmaceutical treatments, such as lifestyle change and mental health counseling, are effective for individuals diagnosed with schizophrenia and other psychotic disorders as well. Research investigating the effects of CBD is in its infancy but has shown promise in reducing psychotic symptoms in patients with Parkinson’s disease. In healthy volunteers, CBD has demonstrated the opposite effects of delta-9-tetrahydrocannabinol (THC) on brain functioning and has been found to reduce anxiety, paranoid symptoms, and memory impairment. In the first ever placebo-controlled trial of CBD in people diagnosed with schizophrenia, McGuire and collogues investigate the effectiveness and safety of CBD used as an adjunct to antipsychotic medications. 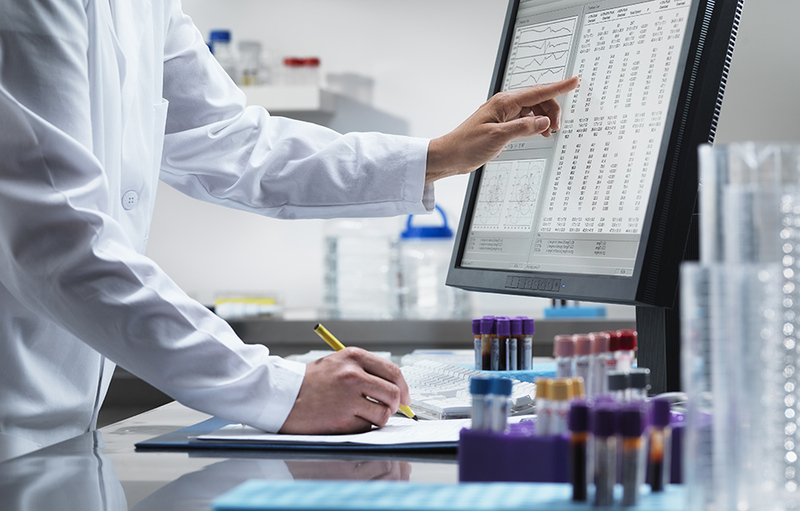 Eighty-three patients with a diagnosis of schizophrenia or similar psychotic disorders participated in the 8-week, double-blind, and parallel-group trial at 15 hospitals across the U.K., Romania, and Poland. Participants were randomly assigned to receive two divided doses of 1,000 mg of CBD daily or two doses of the placebo to be taken alongside their regularly prescribed antipsychotic medication regime. Following the 8-week trial, the researchers found significant changes in the CBD group when compared to the placebo group. Positive psychotic symptoms were significantly reduced from baseline to the end of the study for the CBD group. Most notably, before unblinding, patients from the CBD group were rated as “improved” by their treating clinicians significantly more than those from the placebo group. Adverse effects were mild and reportedly resolved on their own. Other differences existed between the groups, such as improved Global Assessment of Functioning scale (GAF) scores, cognitive ability, and motor skills, although these results were not statistically significant. I thought marijuana was supposed to trigger “schizophrenia.” There are psychiatric papers claiming as much. The quacks can’t make up their minds. Well since we now know there is no such thing it cannot be “triggered” by anything. My guess is “schizophrenics” in these studies get a little too stoned and hallucinate. They get locked up and put on psych drugs to make them “schizophrenic” till they die or escape. A drug as an adjunct to another drug? One drug is ‘damaging’, but two drugs are ‘healing’? I know that a heck of a lot of money is going to be made with the decriminalization of marijuana, however, who’s looking at a non-drug, health conscious, approach to ‘problems in living’? Recreational drugs, and I’ve used a few, are still, like hard liquor, recreational vices. Sure, CBD will probably make things easier for THC users, but, all in all, it’s the pharmaceutical *cough* market that you are fostering thereby. Drug ‘research and development’ is not the same thing as life skills mastery and acquired wisdom. This reminds me of an item in the old compilation Orthomolecular Psychiatry edited by Linus Pauling and David Hawkins in1974. In an essay by Hawkins describing the North Nassau Mental Health Center, which he ran, he mentioned that the doper patients he had (in the glory days of psychedelic abuse) who only smoked marijuana didn’t relapse like the poly-dopers who were also his patients and were getting basically the same treatments as the others. Perhaps this is related to some of the stuff in this article about CBD. “Agents with anticholinergic properties (e.g., sedating antihistamines; antispasmodics; neuroleptics; phenothiazines; skeletal muscle relaxants; tricyclic antidepressants; disopyramide) may have additive effects when used in combination … Central symptoms may include memory loss, disorientation, incoherence, hallucinations, psychosis, delirium, hyperactivity, twitching or jerking movements, stereotypy, and seizures.” From drugs.com. How different are the central symptoms of anticholinergic intoxication syndrome from the positive symptoms of schizophrenia? Not very. 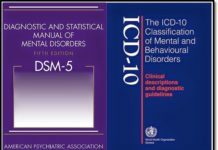 But since antipsychotic induced anticholinergic toxidrome is not listed in the DSM billing code “bible,” it is always misdiagnosed as one of the billable, but “invalid,” DSM disorders. Perhaps, weaning people off a drug class (neuroleptics/antipsychotics) that actually creates the positive symptoms of “schizophrenia” would be more effective than giving them more drugs? The neuroleptics create the negative symptoms of “schizophrenia,” too. 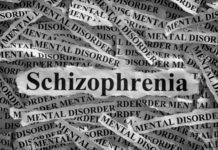 Given the reality that the “schizophrenia” treatments create all the symptoms of “schizophrenia,” it’s highly likely that the primary etiology of “schizophrenia” is the “schizophrenia” treatments themselves. I don’t think there is any treatment for “schizophrenia” – tranquillisers are used but that’s it. A well person cooperating with the “tranquilliser” approach invariably becomes “sick in the head” themselves. That’s the point, YIS. Your mental health is part of your physical health, something the average psychiatrist doesn’t seem to understand, just as these individuals don’t understand you can do ECT’s on patients without erasing their long-term memories, simply by keeping them on B3 (one of the reasons Hoffer, et. al. used them on occasion, but with many fewer shocks per patient, unlike our big-time shock docs). Incidentally, YIS, I use a DIY protocol, too. Now in my early 70’s, I find it interesting how many professionals are amazed I’m not on some kind of medication at my age, particularly the VA guy who does my annual physicals. So validating “brain damage” is a step in the right direction? Perhaps I worded that carelessly. Helping people find some ACTION they can take to improve their lives provides hope, whereas telling them their brains are broken and that there is nothing to be done about their “lifetime illness” drives people into despair, unless they are smart enough to understand that they’re being scammed. I don’t believe in broken brains, or if there is brain damage, it is observable and is dealt with by neurologists based on actual evidence. I’d say “awake” enough. And waking up happens while one is in the middle of the experience, a matter of being humbled by life. Awakening is a matter of discovering the truth of a debilitating situation while on the inside of it, and then having to figure out how to get out of it safely and take back one’s power. That’s a step by step transformative process that requires expanding one’s consciousness as one moves along that trajectory, from being scammed to awakening to the toxic oppression of said scam, to becoming free. That’s where being smart comes in, as well as intuitive, courageous, creative, flexible and determined. I agree 100%. It’s not because people are stupid, it’s because they are brainwashed and cowed and unable to use the intelligence they have due to the oppressive conditions they face. Waking up is, indeed, job one! wow, this is hard to put to words. um, maybe what is normal is getting so narrow that our periferral vision of our consiousness is seeing alot more of what is outside the consensual reality, and yet wholly there. Isn’t it a smarter idea to reduce the meuroleptica dosis than ad CBD? For isn’t that what the efect is about, reconnect some neuron-connections that has been supressed? On a related note, I think a requirement for a psych degree should be at least several LSD sessions, preferably with 300-500 microgram doses. That should weed out a whole slew of shrinks! It is strange that such an article did not come out 100 years ago, or maybe even 1000 years ago. Because the use of a vaporizer is associated with the onset of psychosis, it would be logical to assume that marijuana contains an antipsychotic. And these people occupy high positions, get a lot of money for their work.